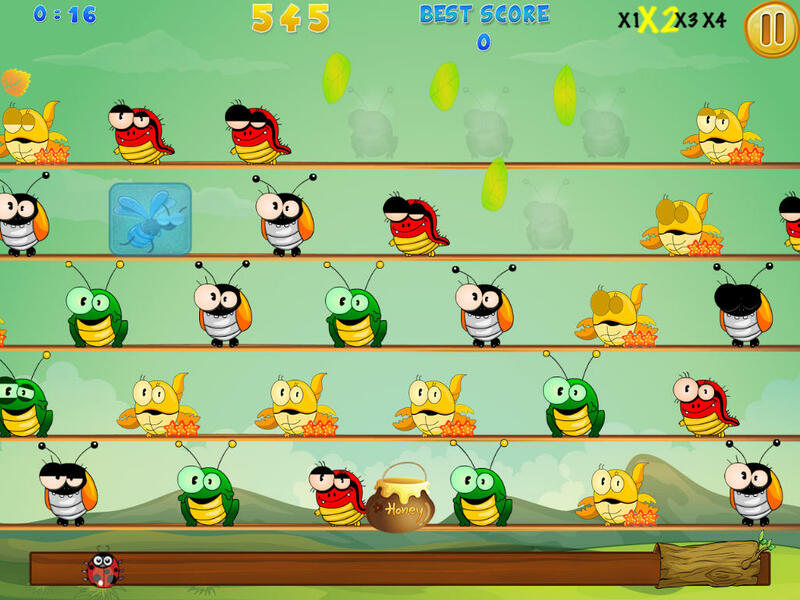 Get ready for a clever, challenging and addictive game that will have you hooked from the start! The goal is to burn as many bugs of the same kind at the same time as possible...Sounds easy? It's not! The bugs are all lined up on a moving string. When you see similar ones just draw the electric path you need to zap them, and watch them burn! As the levels increase so does the speed and challenge! Also, try to get those flying bonus objects... They will help you in the long run! With four play modes the fun never stops! Reach a score goal, use the minute limit or play infinitely! With amazing graphics and sound effects you will not want to stop playing! What are you waiting for, the bugs are getting annoying...Zap them!